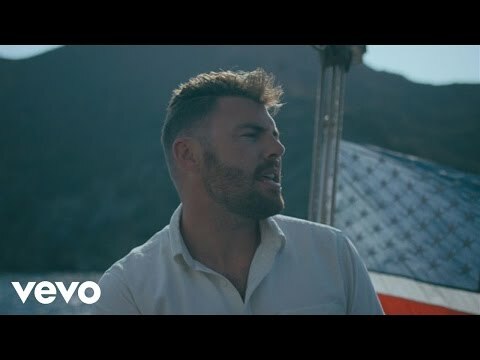 A tale of art, ocean, intimacy, and lies, Goldroom’s video for “Lying to You” directed by Tim Nackashi makes a splash. With a tropical retrowave vibe, Tim Nackashi brings us an late summer afternoon narrative of a playful day at sea turned into quite a strange trip. The video encapsulates an idilic lagoon, a photographer, a mysterious girl, the captain, a couple stranded in open water, and a secret revealed in a splash. Filmed on Catalina Island, the concept was inspired by the singer’s own hobby of sailing and old french thrillers. Whether it’s the pure blue waves, the girls curly hair tangling in the breeze, or all of the sun soaked lounging on the boat deck- this imagery video is definite eye candy and tells a fun summer tale….or should I say tail? “Lying to You” is a single from American Electronic musician Goldroom, whose debut album “West of the West” is expected September 23, 2016. The video made its premiere on Billboard on August 23rd. Watch the music video above, and check out more of Tim Nackashi’s work HERE.